All plants need light to grow. Plants use light to create the energy needed to make the food they need to grow and a plant’s growth rate and longevity is dependent upon how much light it receives, according to the Texas A&M Agricultural Extension website. Living in a house or apartment with limited access to sunlight does not mean you cannot grow plants. Artificial lights can be used to supplement natural sunlight or, in some cases, replace it completely. Sunlight is the best light for plants. The rainbow effect created by holding a prism up to sunlight is a visual description of the colors in the light spectrum. Plants need the red and blue parts of the light spectrum, with red being more important than blue. Indoor plants placed within 10 feet of a sunny window receive the natural balance of red and blue rays they need. Artificial light allows plants to be grown anywhere in a home; however, not every light bulb will suffice. Improper light exposure can result in weak, spindly plants with pale leaves, whereas exposure to proper lighting can produce plants with shorter, stronger branches of dark green leaves. A simple incandescent light does not meet a plant’s requirements. They provide the red rays that plants need, but not the blue; in addition, incandescent lights create excessive heat. Fluorescent light tubes are a good source for providing light for plants; however, there are a variety of fluorescent tubes. The "cool white" fluorescent tubes, as well as special plant fluorescent lights are selected by many indoor gardeners, according to the University of Missouri. Place plants within 10 feet of a sunny window. 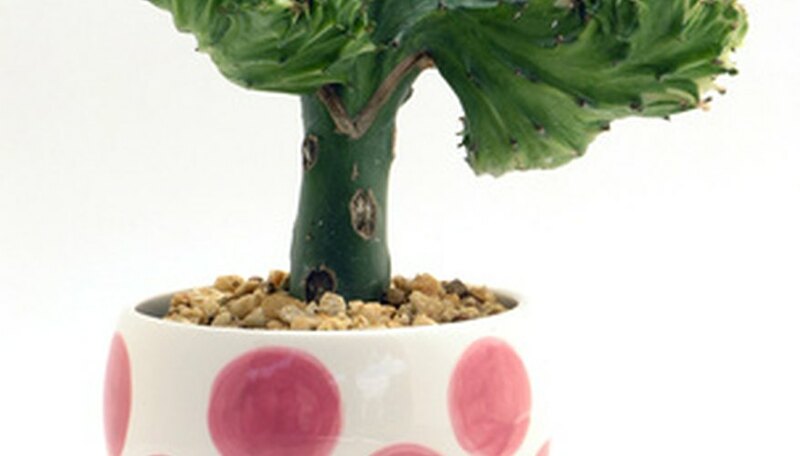 After time, the plant will "reach" towards the window; rotating the plant will keep the plant’s shape even. Plants using only artificial light should have the tips of their leaves placed six to 12 inches from the light. As with sunlight, the plant might "reach" for the light bulb; rotate the plant or place it directly under the light source. Plants should receive 16 to 18 hours of artificial light each day. Gardeners who start seeds indoors often use artificial light. The seeds’ containers should be placed less than six inches from the light source. As the seeds germinate and grow, move the light source upward to keep it no closer than six inches above the planters.